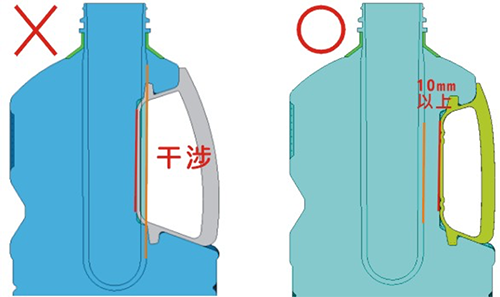 In the market, it is common to find the edible oil bottle with handle which can be further divided into "Handle pre-inserted bottle" and "Handle post-inserted bottle." Here are the introductions. 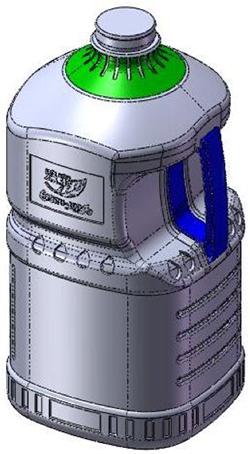 Pre-inserted handle bottle is made by placing the handle in a mold through manipulator and the fitting place of the handle will be wrapped directly during the blowing. Therefore, the handle bottle would carry more force and it is usually used for larger capacity. 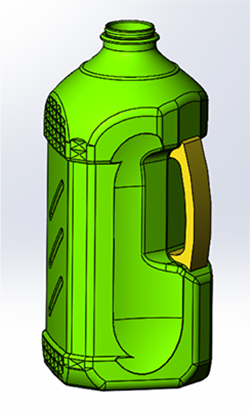 Handle post-inserted bottle is made by cavity insert, allowing the preformation of the handle fitting place. After the completion of blow molding, the handle is then placed into the finished bottle. In the design of the handle bottle, the handle's position is critical since the handle mounted above the body (the middle) is easier for pouring the content. 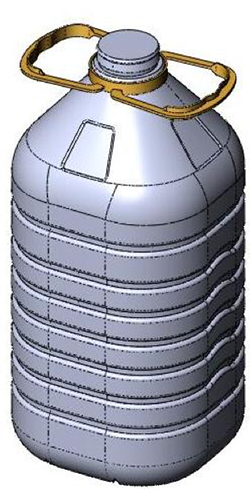 In addition, the handle shall be buried in the body or there shall be strip added on both sides of the bottle body where the handle located to keep it from shaking. In order to accommodate the handle, both sides of the bottle will be too large. Therefore, a pattern or strip is required to strengthen the intensity. By doing so, there will not be the deformation of the water bottle or oil bottle when it is picked up. The parting surface is normally at the handle and the pouring route is generally straight line to prevent from inverting. A. 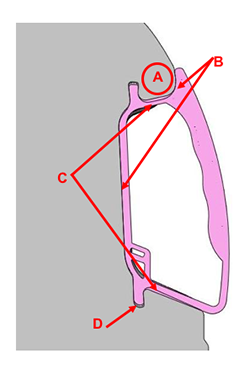 Note whether the space of this area is good enough for blow molding. Should the good molding be not available, the handle will get loose easily. B. The compatible place of the handle and the bottle's body shall be tangent instead of undercutting to avoid interference. C. The distance of undercutting is 1mm. D. Increase the length by 1mm. E. The compatible place of the handle's tenon, R angle, should not be too small to avoid the bad molding of the tenon's compatible place and therefore getting the handle loose easily. There should be a certain space between the handle and the preform to avoid the interference between them. CHUMPOWER MACHINERY CORP. has over 20 years of experiences in the expertise of PET blow molding machine manufacturing Apart from providing the appropriate blow molding machine for oil bottles, we also provide the best expertise and consultant on the design of handle oil bottle from preform/mold design、blow molding equipment 、Whole Plant Planning Solutions.